The yoyo scene in Thailand is growing quickly, and they’ve got some truly excellent talent coming up. Check out this great look at the recent Something World contest, organized by Hiroyuki Suzuki! 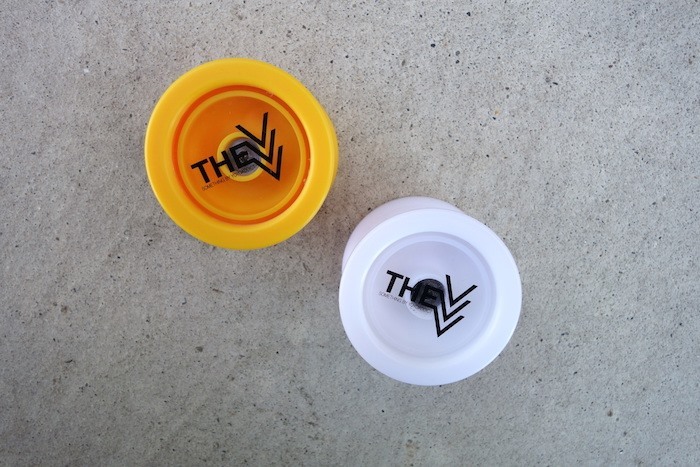 Something by YoYo Addict recently unveiled a revamped version of their plastic yoyo, The V. The updated model designed is after their popular yoyo, the SLASHER. This new updated version is absolutely killer! Check out the video below as multi-time 1A World YoYo Champion Hiroyuki Suzuki puts The V to the test! Multi time world champion Hiroyuki Suzuki and YoYoRecreation owner Kengo Kido have announced their new international contest in Japan, the 2016 Japan Open YoYo Championship. The announcement also included their desire for the 2018 World YoYo Contest to be held in Japan again. 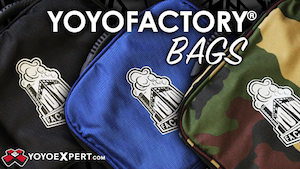 Be sure to like the Facebook page and keep an eye out on their website for updates. We are proud to announce the “Japan Open YoYo Championship”, a new championship brought to you by Hiroyuki Suzuki and Kengo Kido in collaboration. 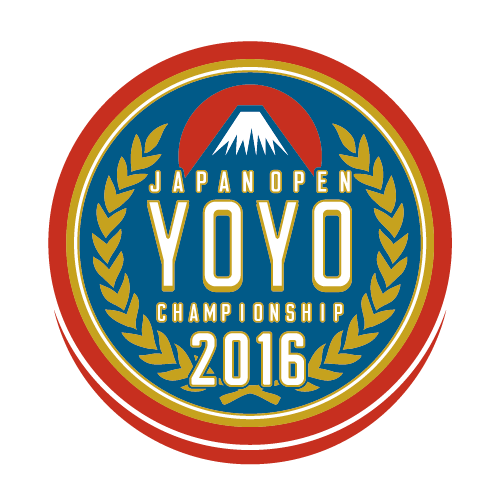 The Japan Open YoYo Championship is an international open YoYo championship, set up with the aim to stimulate the long-term development of the Japanese YoYo community. The Tokyo 2015 World YoYo Contest, was a special contest for many Japanese players who for the first time shared experiences and made new bonds with players from overseas, giving them a taste of how great an international community is developing, far away from Japanese shores. To give the positive effects of worlds long lasting momentum, we felt the need to create an event in Japan where players can gather from across the world annually, build on friendships, and continue the rivalries sparked in 2015. In the same way that Europe is known for EYYC, and Singapore is known for AP, we will build a contest that the Japanese community can be proud of. We also firmly believe that because of the size and the passion toward YoYo our community has, along with our depth of experience with running competitions, that the 2018 World Yo-yo Contest should again be held in Japan. The success of the Japan Open YoYo Championship will further cement the already strong foundations we have in Japan – that is our experience of running contest and our fantastic scene – and give our committee of organisers further experience in order to make a successful bid for the 2018 World Yo-Yo Contest, and run an amazing event. Available first at the 2015 World YoYo Contest in Tokyo, we’ve got full specs for the Anglam Zero below! Retail price will be announced closer to Worlds. Thanks to our friends at YoYoNews.jp for pointing us to these videos of the winners of the 2015 China YoYo Corporation Championship! The Guinness World Record channel on YouTube just posted this “classic” clip, of 4-time World YoYo Champion Hiroyuki Suzuki setting the original Guinness World Record for knocking coins off people’s ears with a yoyo. Nice to see a clip like this archived for posterity! 4-time World YoYo Champion Hiroyuki Suzuki has a love affair with two things: yoyos and Paris. So combining the two makes him happy, and gets us another killer video from one of the greatest yoyo talents in the world. sOMEThING, the premium Japanese yoyo brand owned and operated by 4x World YoYo Champion Hiroyuki Suzuki, has run another of their “sOMEThING WORLD” contest events, this time in Seoul, Korea. Check out some fantastic demos from sOMEThING team members Christopher Chia and Cha Dam Dae. 4x World YoYo Champion Hiroyuki Suzuki has announced a new plastic yoyo from his brand, sOMEThING! The Premiére is a new injection molded plastic yoyo that is meant to be a low-cost plastic version of their flagship yoyo, the Anglam. The first release will be at the sOMEThING WORLD KOREA event in Seoul on February 22nd. 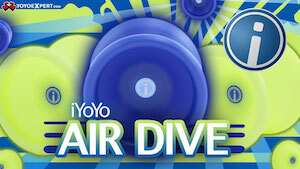 The yoyo will get a full retail release in March. The Premiere is designed for unresponsive play and ships with a Center Trac bearing, but will also ship with a half-spec bearing for responsive play by beginners. The Premiere looks like a great entry-level yoyo for this premium Japanese brand…great job, Hiroyuki-san! Hiroyuki Suzuki is the most well known modern yo-yoer. He has also had the longest career in high level competitive yo-yoing, managing to stay within the top 10 in the World for an incredible 13 years. During his tenure, Hiroyuki has collected 9 Regional titles, 6 National Titles, 7 Asia Titles, and 4 World Titles. En route to winning these titles, Hiroyuki has proven himself to be the best performer in all of yo-yo. Here we will take a look at his top 10 routines over the years. Before we start, we will only be ranking unique routines. For example, 2012 JN and 2012 AP use the same routine; we will only rank the better of the two. In this routine, Hiroyuki brings to the table a very different vibe from his past routines. Hiroyuki’s first outing in the 2014 circuit was very refreshing. Fantastic synchronization with the music, and a departure from the heavy dub-step of the past few years. The first World performance to feature the now iconic sunglasses, Hiroyuki brought a timeless routine in 2008. 8 years after winning his first World title, Hiroyuki reclaimed the title in 2012. Although with his restart, it is the weakest of his 4 World title routines. Despite a restart and a change out, Hiroyuki managed to win the National title. The routine is exceptionally clean, despite the major deducts; so clean, in fact, you will forget about the restart/switch out all together. Along with the beautiful choreography, this has to be considered Hiroyuki at his best. In 2006, Hiroyuki completed the 3 peat. He hits most of his major music cues, as well as his big bangers. He also introduces plenty of new concepts in this routine. This routine is very close to topping his routine from 2005, but not quite. The most viewed routine of all time–and it comes as no surprise. This routine is vintage Hiroyuki. As always, perfect choreography, speed, accuracy, and extremely innovative tricks. This is Hiroyuki’s best routine of his 4 World titles. Hiroyuki has dominated Japan National’s many times, but in 2012 he put on an unbelievable performance that more than just dominated. Extremely high risk tricks, incredible choreography, and the new-school swagger that Hiroyuki brings every time. Not technically a competitive routine, but an incredibly entertaining performance nonetheless. So, what do you think? Which is your favorite routine from Hiroyuki?